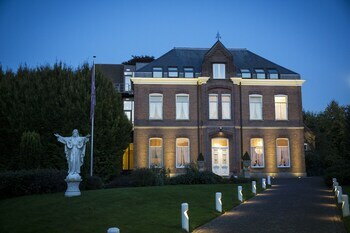 A stay at Restaurant & Hotel 't Klooster places you in the heart of Uden, within a 10-minute walk of Church of St. Peter and Jetten Mill. Featured amenities include express check-out, complimentary newspapers in the lobby, and multilingual staff. Free self parking is available onsite. Western Area Apartments offers accommodations throughout the area in Amsterdam. Featured amenities include multilingual staff and luggage storage. With a stay at Keizersgracht Residence in Amsterdam (Canal Ring), you'll be a 4-minute walk from Anne Frank House and 13 minutes by foot from Nes.